Laminate has become a popular choice for homeowners who want the look of stone, wood or ceramic floors without the cost or maintenance. They’re easy to care for and in most cases, resist staining, wear and fading better than the real thing. 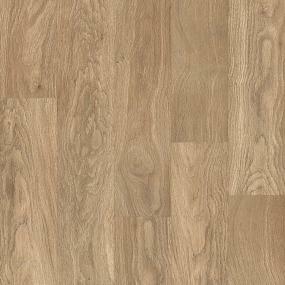 Laminate flooring offers so many style choices; the only difficulty is choosing which one will look best in your home. Laminate flooring is made of layers fused together. The primary layer is a high-density fiberboard (HDF) that gives it strength. This is followed by a moisture resistant layer, topped with a high-res photographic image made to imitate wood, tile, stone or slate. The top layer’s protective coating gives it durability and protects the surface from scratches and stains. Laminate is a highly stain-resistant floor and is best known for its durability. Its impact resistance is related to the thickness of the plank. Generally, the thicker the plank, the more resistant the floor will be to dropped objects. Because laminate floors are extremely durable, they’re ideal for most rooms in your home such as the entry, basement, living room and kitchen. While laminate floors are all made up of the same primary layers, there are available in a variety of different locking and surface types, AC ratings and styles from which to choose. You’ll still want to add a moisture barrier before installing it in areas where moisture or hydrostatic pressure could penetrate the subfloor (e.g., basements or levels with a crawl space under them). Almost all of today’s laminates fall under this category of floating floor that literally floats over the subfloor and is held in place by the boards themselves. This type of laminate is not recommended for rooms with high moisture, such as a bathroom. With this laminate floor, the joints must be glued together. While this makes for a very strong floor once installed, installation cost and time is typically higher than with a glueless/click. The joints in this type of laminate floor already have a glue applied to them, but it may need to be moistened in order to activate before joining the boards together. This is a plain finish just like a layer of varnish you’d associate with hardwood. You may be able to choose between high, medium and low gloss finish. Some laminates come with a textured finish. Regular embossing isn’t an exact match of the grooves of the printed grain but can fool the eye into seeing a surface grain. This also adds greater slip resistance. 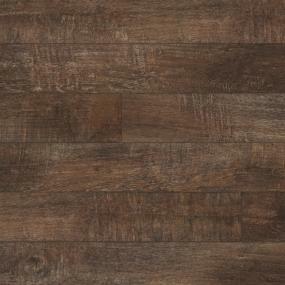 This process adds an antiqued look to your laminate floor, giving it an even more authentic solid hardwood appearance. This type of embossing/texturing matches the grain of the wood for an authentic embossed look. Whether you favor a hand-scraped hardwood, an old-world tile or an embossed stone, laminate flooring can give you the look you want at a fraction of the cost. Laminates can look like stone, tile or wood, and within these three categories, color, texture, and tone are available in a virtually unlimited variety. 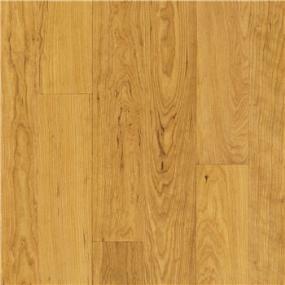 Wood is easily the most common style of laminate flooring. Any type of species that’s been sold in planks for hardwood flooring is offered in a laminate version. This looks exactly like tile and create the look of a ceramic tiled floor with the advantages of laminate. This style helps you create the look of stone without the expense or maintenance. Review the product catalog for laminate images and information. Add what you like to your myProSource project center. Next, visit your local ProSource showroom to view samples of all the different laminate flooring styles available.